Chippewa Falls and Eau Claire have plenty of things going on during the month of December to help you get into the holiday spirit and create some memories.Whether you like spending time outdoors in the fresh air or listening to some seasonal music or watching a play, we’ve got just the activity to inspire your yuletide cheer. The Chippewa Falls Christmas Village, in beautiful Irvine Park, is an impressive display of life size Christmas scenes reminiscent of the Victorian era and local historical replicas. 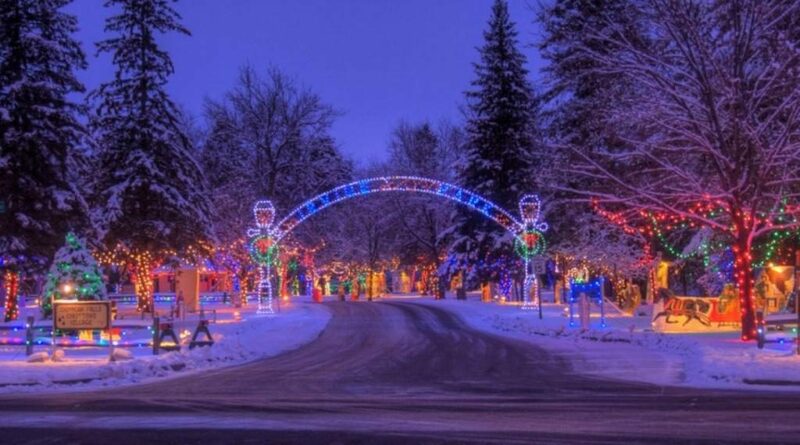 It is set up during the holiday season along with a dazzling display of over 60,000 lights. Join us for the Annual Bridge to Wonderland Parade and enjoy over 50 illuminated musical floats, walking units, and animal entries as they light up the winter skies. This year’s theme is A Candy Christmas. 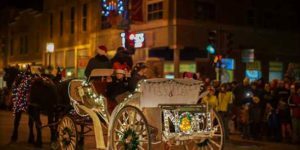 Don’t miss this beautiful winter parade and beloved Chippewa Falls tradition! Afterward, join us along with the Chippewa Falls Public Library down at Riverfront Park for campfires and s’mores, free hot chocolate, and visit with Santa and Mrs. Claus. Lazy Monk Brewing is excited to bring to the Chippewa Valley a true German Christkindlmarkt! The first two Saturdays of December, check out this outdoor shopping market for your holiday gift giving! Vendors will include local potters, chocolate maker, handcrafted wooden gifts, handcrafted soaps, bakers and other locally made products for your buying pleasure. Delight your senses with the feel of a true European Holiday. It’s about that time of year again to get out and have some outdoor winter fun. Winter After Hours at Pinehurst Park have started and will continue every Thursday night throughout January and February. 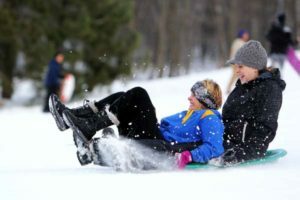 Activities include sledding, ice skating, snowshoeing, winter KUBB, and snow sculptures along with cross-country ski and fat-bike trails. Ice Skate and snowshoe rentals are available. If you’re feeling chilly, hang out by the fire pit, or sit in the warming house. Help yourself to the free hot chocolate and enjoy some great music! When you want an old-fashioned Christmas, you know who to turn to — the musical, merry, menopausal members of the Looney Lutherans! These warm and witty women have created a brand new show of family-friendly comedy skits and songs to help audiences enjoy the spirit of the season, and maybe even create a new holiday tradition to boot. 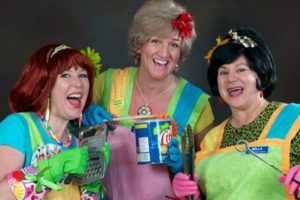 The idea for the “Looney Lutherans” was cooked up in 2006 when the founding members were appearing in the cast of the hit musical CHURCH BASEMENT LADIES at the Plymouth Playhouse in Plymouth, MN. The company has since expanded to include four additional “Loonies”, but all of these talented women have been performing for years as professional actresses, writers, singers, and improvisers. Dinner by Sweet Clarisse Catering will feature your favorite Lutheran potlucks all rolled into one! A delightful selection of entrées, Wisconsin-inspired sides and desserts. Don’t forget to leave room for the jello mold. 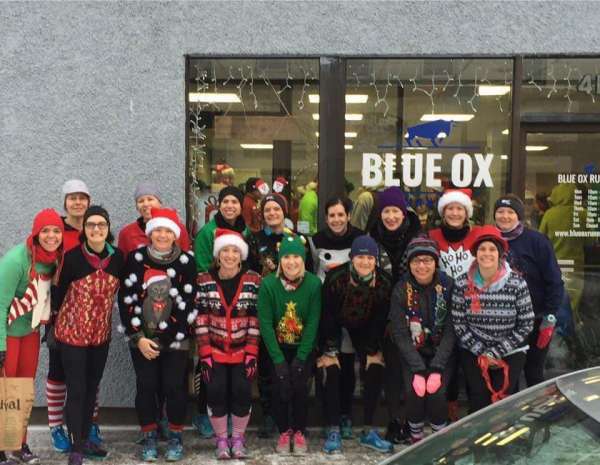 Come join us in your ugliest Christmas sweater for a fun 5k run. Good people, good fun, good cookies & prize drawings. 12/22/2018 Chippewa Falls Doors open at 6:30. Show is from 8:30pm – 12:15am. PRE-NEW YEAR’S EVE PARTY AT LOOPY’S! The surrounding area has been such great fans, we can’t wait to come back. We’re doing the whole night up just like New Year’s, with a count down, party favors and champagne to toast with at midnight! December is one of my favorite times of the year.  We would love to greet you as one of our guests during this beautiful holiday season.